Earlier, there was a time when mobile advertisement was only an add-on luxury to desktop and other traditional forms of advertising. However, the time has changed and evolved with the growing technological trends. Now in the year 2018, it has become a necessity of today's advertisers to reach out their global customers. Advertisers find it a great medium to directly connect with the customers. This rapid mobile-usage development is due to the arrival of smartphones in the industry, which has given rise to the mobile app development sector as well. Pubmatic Research, which is the leading publisher-focused sell-side platform (SSP) for an open digital media future, has recently noted that more than half of video impressions are now monetized via mobile phone with mobile video now representing 53% of video impressions. 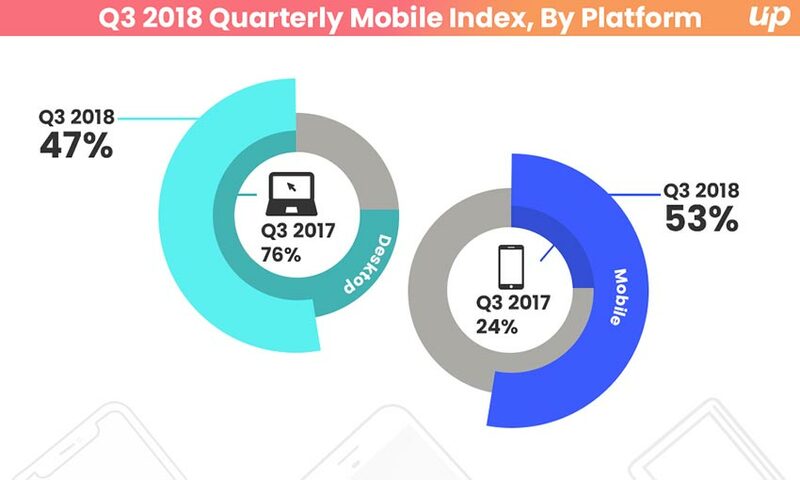 In its latest release of Q3 2018 Quarterly Mobile Index, the firm has revealed various facts and trends for advertisers. The report displays an upward trajectory of mobile advertising. Notably, advertiser interest in mobile video generated incremental revenue opportunities for publishers. Why Mobile Video is growing? With the speedy growth in video consumption, it is clear that consumers' viewing habits are rapidly changing and their love for video is much more than text reading. If you search on Google, then you will get multiple results and statistics that how the craze of mobile video is rising among individuals. Currently, mobile video is the fastest-growing video type all over the world, but the consumers in the US have topped the charts, taking nearly half of daily time spent with this format online among US adults in 2018, as reported by PubMatic. Marketers across the world are rapidly enjoying this bang-on opportunity of rich media mobile ads to grab more eyeballs, towards their brand and product promotion. It has been analyzed that online video advertising is more successful marketing tool than any other traditional means of communication. In fact, top mobile app development companies are also focusing on major advertising tactics like mobile video advertising for the mobile app promotion. If you are the one who is going to start an online business, then after creating a website or app for your business, mobile video promotion should be your priority. An engaging video is about; how well you can grasp on your target audience's attention and lead them to the next level of conversation. For example- If you have created a mobile app for your business and you want to make it more visible to the audience, then investing in mobile app advertising is the key to success. People can view your mobile video ad while watching a video easily. As per the statistics data released by PubMatic, mobile video advertising is among the fastest drivers of digital video ad revenue. It is well-known that an increasing number of mobile users are using their devices to stream video content. Following consumers’ footsteps, the mobile share of video ad impressions has been increased year-over-year to represent the majority of video volume monetized. Within mobile, in-app video impression volume experienced the greatest growth, at a nearly 300 percent year-over-year rate to reach a 70 percent share in Q3 2018, which is noticeably up from 37 percent a year prior. Moreover, it has been found that there is still room for growth, however, with in-app video’s sizeable market share still straggling consumer trends, which signifies that 85 percent of daily time spent watching mobile video among US adults will take place on apps this year. One of the major facts that cannot be missed is that mobile apps were a prevailing force in boosting the growth of mobile video impression volume, up 109% during the third quarter. If you are in the Android and iOS app development sector, then marketing your app through videos is a highly engaging and fun way to tell your potential customers what your mobile app is regarding and how it can help users. If you are planning to develop an app, then you should hire mobile app developers as well as designers to create an amazing video for your app. PubMatic also reveals that in-app video volume nearly quadrupled year-on-year to 70% of mobile video impressions. However, ad spending has yet to catch up with user behavior. 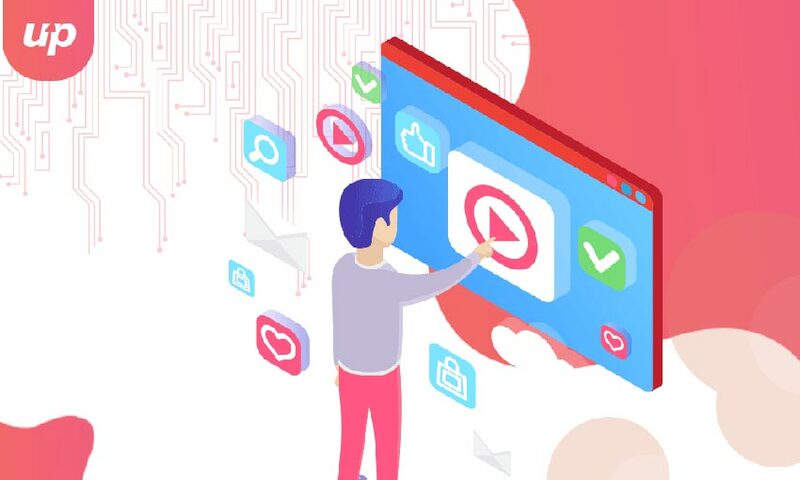 At present, advertisers across the globe have a plethora of incentive to shift video budgets to apps as consumers flock to watch their favorite video content in these environments. Among 85% US adults, daily time spent watching mobile video content will arise on mobile apps in 2018. The ratio of people watching Netflix, YouTube and Amazon Prime is quite higher in the region. These are the perfect canvasses for delivering high-quality video on devices. The usage of desktop apps has dominated by the mobile apps, because of the ease and convenience it offers to the customers. In the earlier PubMatic Research, Mobile ad spend was up 25% year on year in the second quarter of 2018. With that growing base, mobile apps represent more than half of the expenditures in mobile advertising, as in-app ad spend expanded 21 percent YOY during the same period. Apart from that, PubMatic also measured mobile header bidding in the third quarter of 2018 to be dominant in the APAC region where a 135% year-on-year growth was noted. This is extremely high from the previous data released. Meanwhile, the growth in the EMEA region was lower due to the marketers shifting budgets to private marketplaces because of the GDPR regulations coming into effect. Mobile video ads platform rolls out a variety of options to engage customers on a global scale. In the above blog, you can see how the mobile video is gaining momentum and how it can be beneficial for your app business. If you want to promote your brand new mobile app, you can connect with a top app development company Fluper. With the team of skilled app developers and app marketers, you can get great benefits when it comes to the promotion of an app.